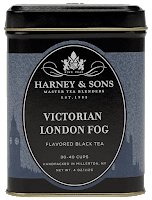 "This blend evokes the aroma of a London Fog, with hints of vanilla and lavender blended with bergamot"
So right off I'm thinking "this wil be a sweeter take on a traditional Earl Grey with a high probability of strong floral notes from the lavender". Conceptually that was something that really appealed to my personal tea palate. I picked up a 4 oz. tin (see below) and was not disappointed. 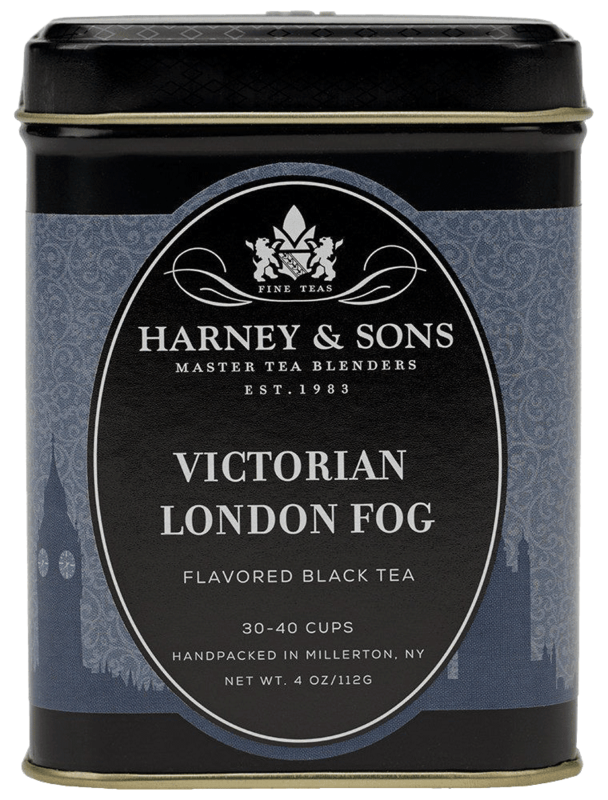 This is a very good tea. Flavor wise? When taken with some milk and a bit of raw sugar the taste is pretty similar to Earl Grey Macaroon cookies I've had in the past. If the idea of that appeals to you I recommend picking up a tin of this. Its very good! All, Sorry I've been silent on the blog front for a while. Been really busy with a lot of projects and such. I've gone through and cleaned up a few things, fixed some broken links and enabled full HTTPS support (update your links). Also I've got a ton of great ideas for a new series of posts (geared around a number of new MDT, SCCM and Windows 10 initiatives I've been involved with recently) that I hope to begin writing up shortly. So much to discuss! More to come so stay tuned! Name: "My VM Name 001"
In the example above Hyper-V will create a single folder named "My VM Name 001" at location "C:\ClusterStorage\volume1\hyper-v\" and all components of that VM will be contained under that folder (as opposed to having some components at the root of "C:\ClusterStorage\volume1\hyper-v\" and some under a subdirectory named "My VM Name 001" which is the default behavior). This will make your VM's more self-contained and (therefore) easier to administer. Apologies for the recent lack of updates. My company is currently undergoing a big reorganization and I'm finding I don't have a lot of free time for new posts. I'm still heavily involved with SCCM administration though and am currently working to roll out Windows 10 v1607 and spinning up a brand new SCCM server to support it. Lots of lessons learned and tons of potential new post ideas are springing from these efforts. Hopefully I can get some new content here soon. In the meantime I have been and am more than happy to answer questions in the comments sections of other posts. Keep those coming guys! Love helping out my fellow admins! Whenever you run into client side issues with application deployment in SCCM check the exemgr.log file on the client and the log generated by the application you are installing. I've found starting there is the best way to uncover issues with my deployments.